Golestan Palace is a magnificent structure in Tehran whose construction dates back to the Safavid era, about 440 years ago, but has been renovated for several times in the following centuries. 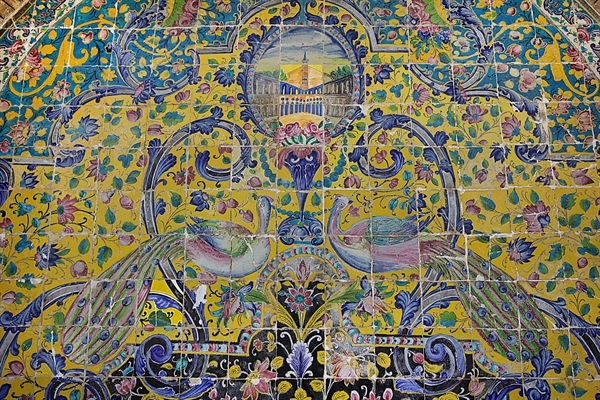 Various decorative elements have been used to ornament the splendid palace, but the tiles stand out. 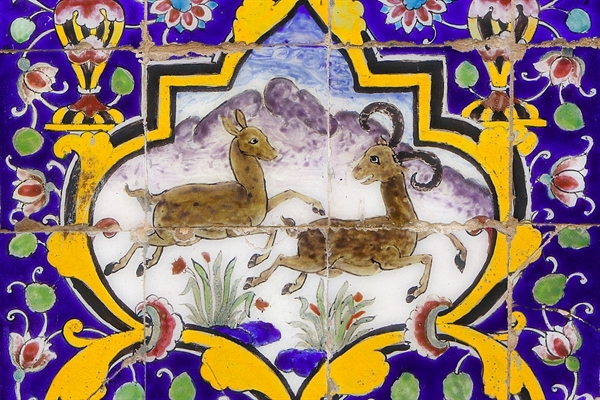 Tiling is a Persian decorative art which had been popular in the country in the 16th to 18th century. 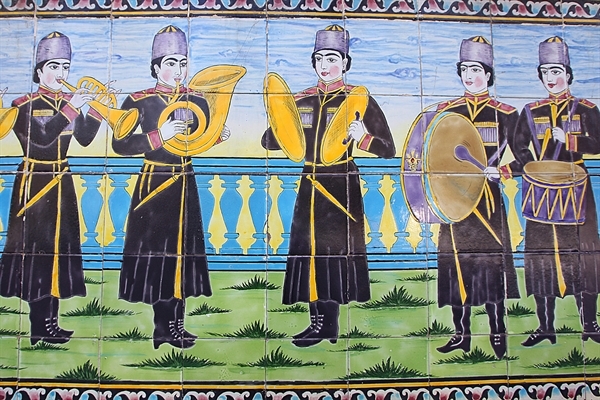 The tiling of the palace serves as a tour guide leading the visitors through history, making them familiar with the personal artistic preferences of the kings of Qajar dynasty especially Nassereddin Shah. 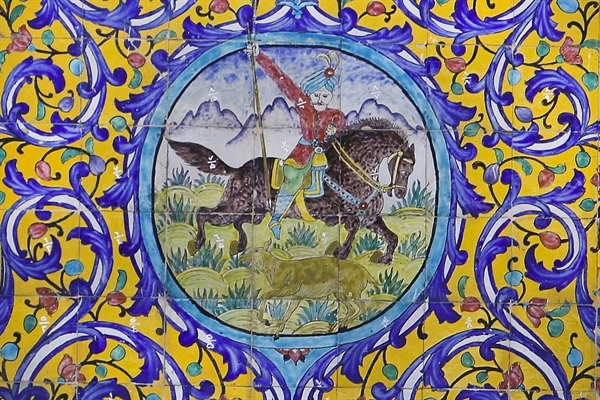 It bears traces from European styles like those of the Renaissance and Baroque eras which were introduced to Iran by leading artists like Kamal-ol-Molk and Sani-ol-Molk; however, these styles gradually overshadowed the traditional Persian painting styles. 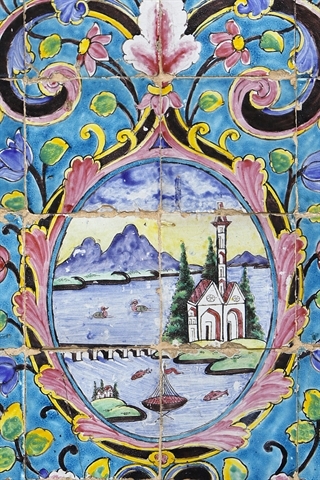 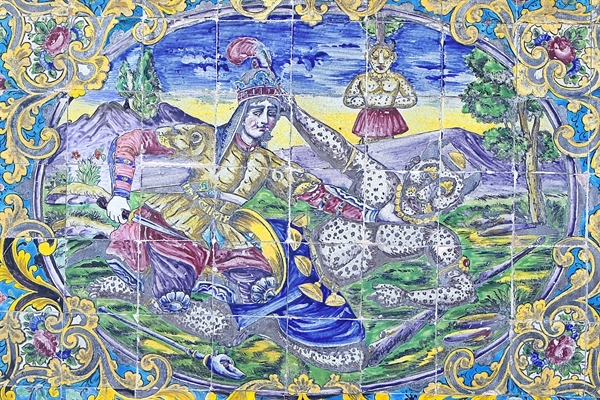 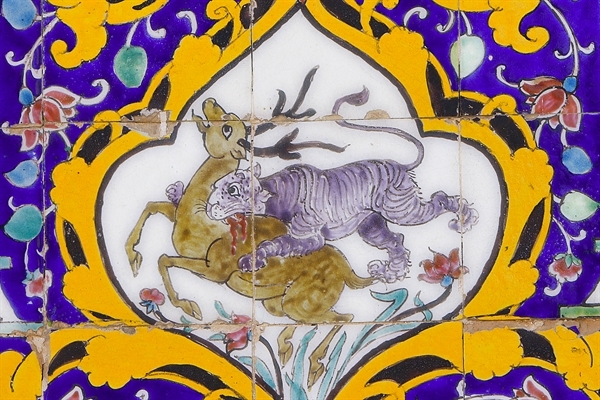 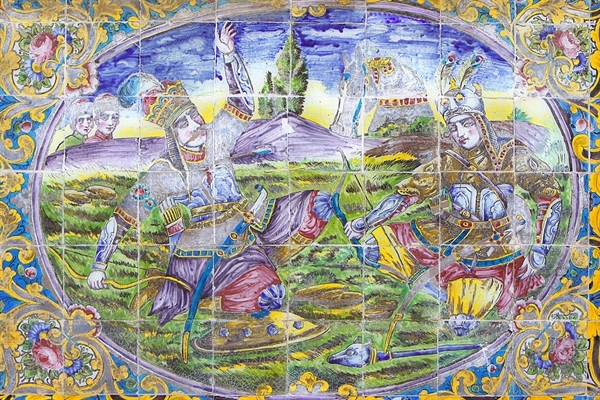 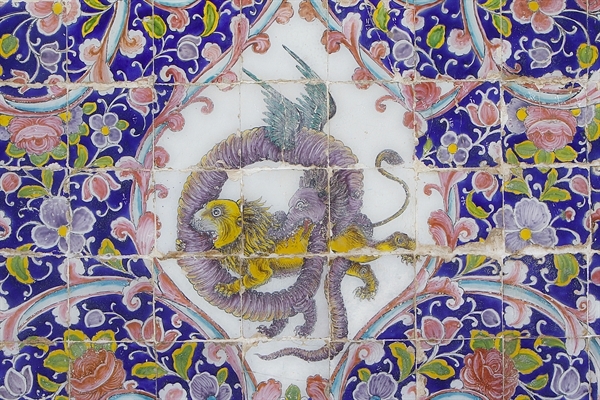 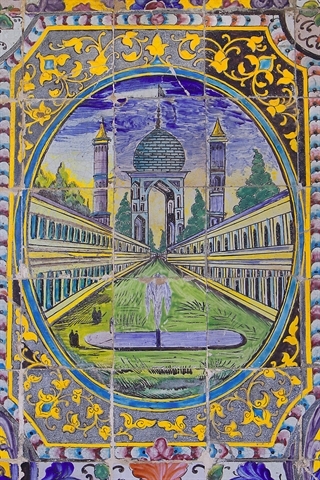 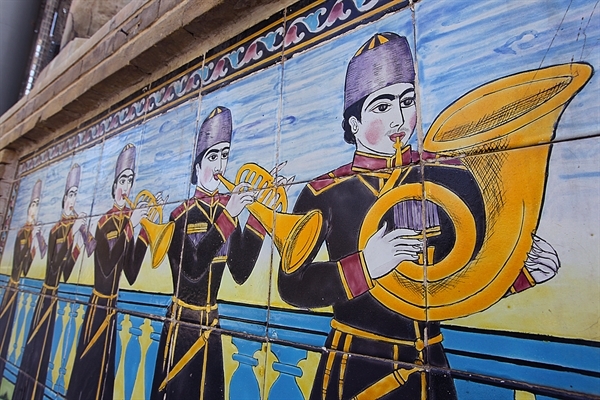 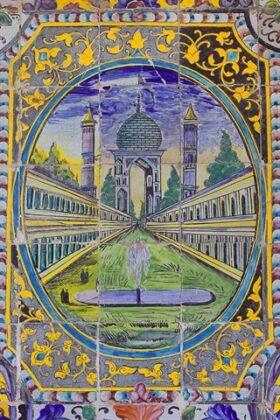 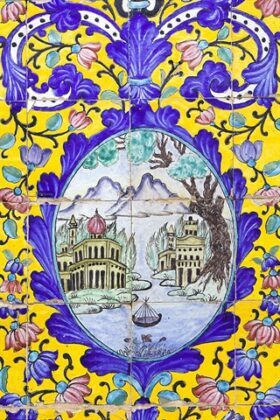 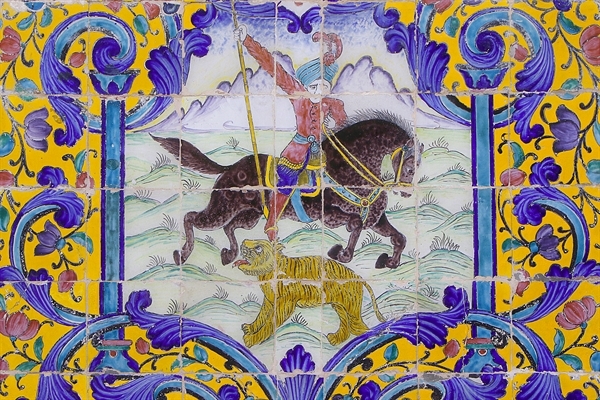 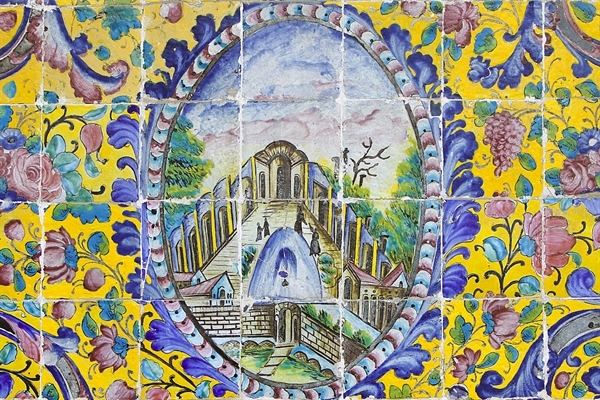 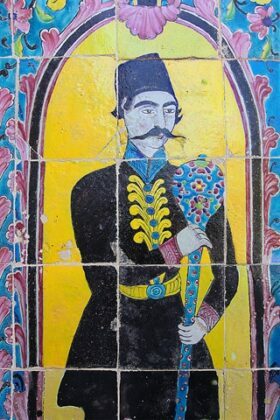 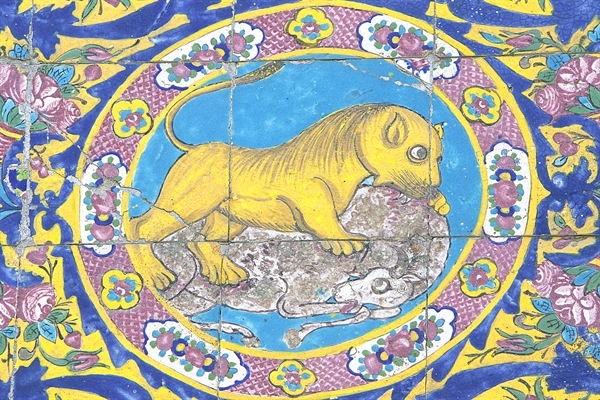 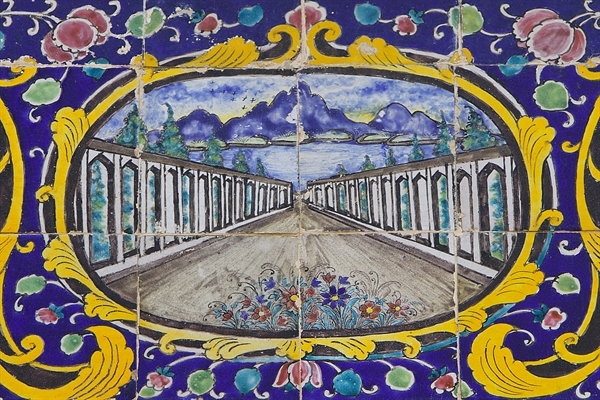 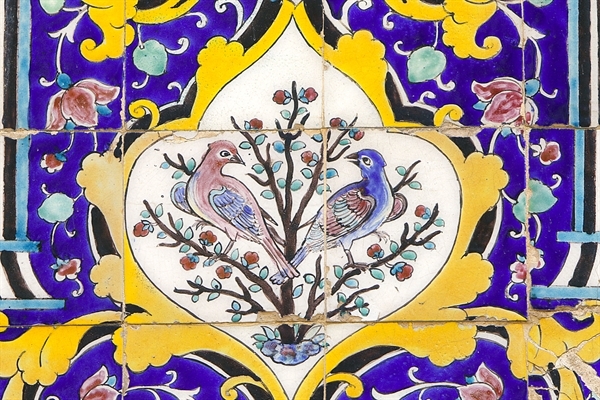 The dominance of yellow and orange colours in the decorative tiles is among the main features of Persian architecture during the Qajar dynasty. 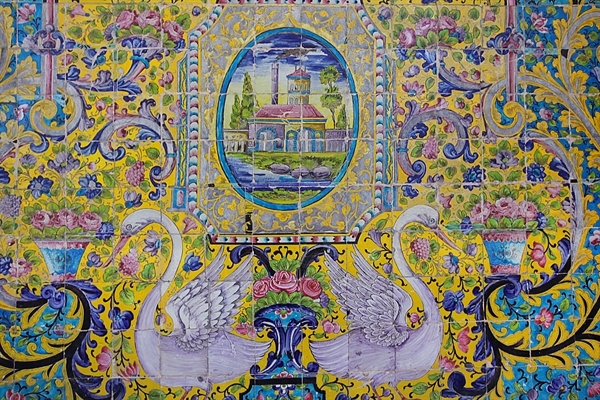 The architects of the era had traditional or western tastes and mainly used warm colours in their pieces when painting such patterns as flower and bird, lion and the sun or martial music bands. 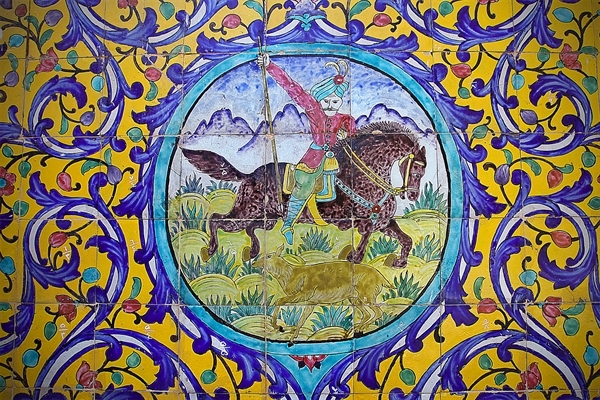 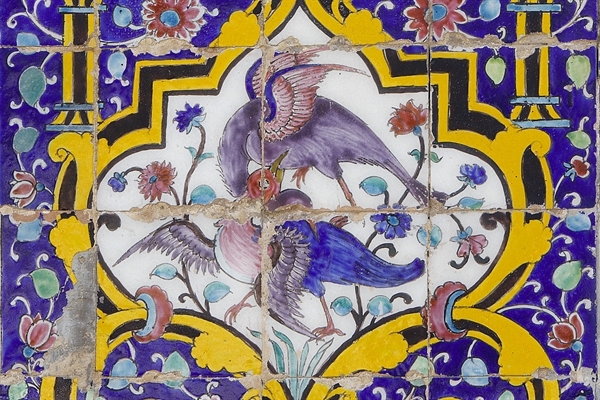 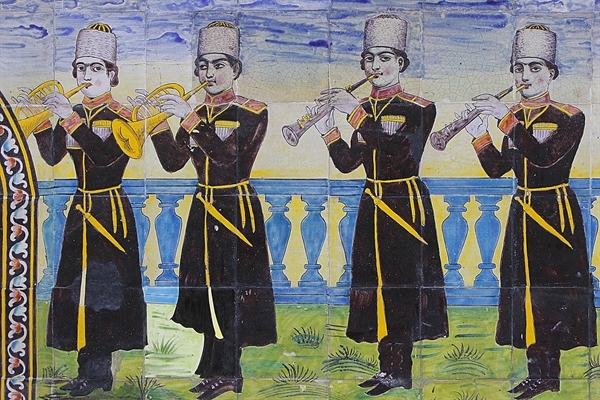 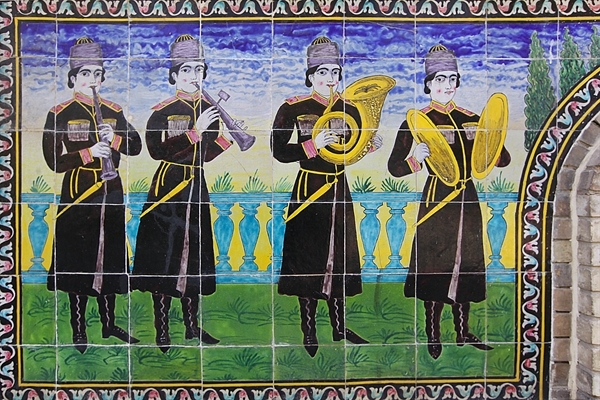 Seven-coloured tile was a new innovation introduced during Qajar dynasty. 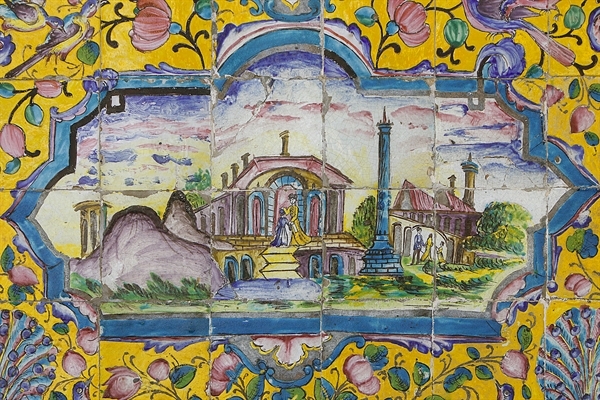 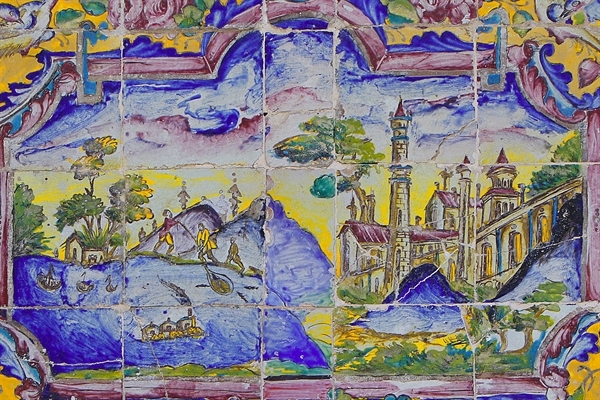 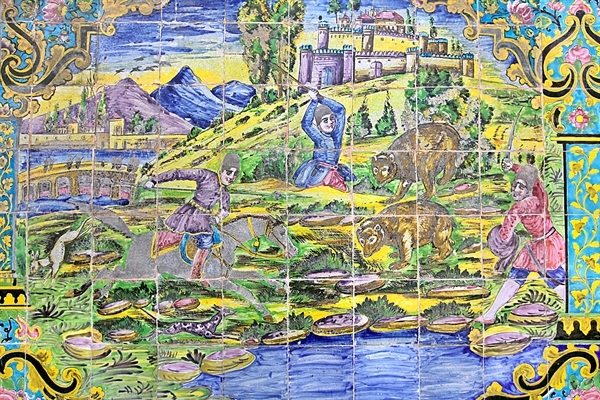 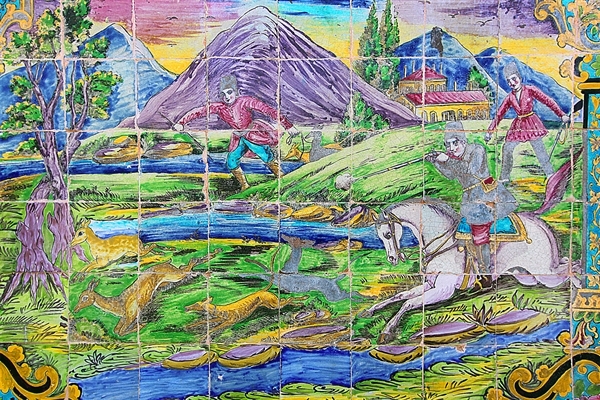 Use of red or purple colours in the seven-coloured tiles was among the main features of tiling art of the era. 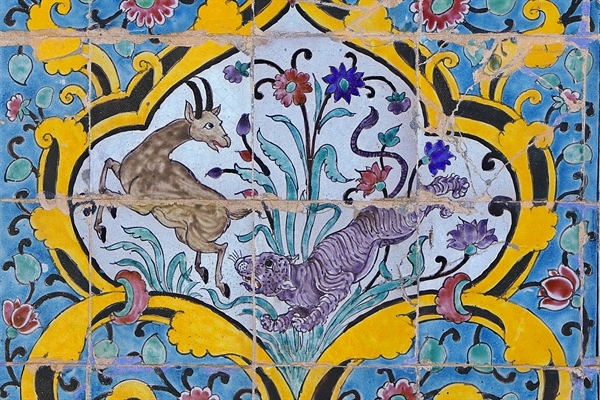 Golestan Palace is the oldest historical monument in the capital Tehran.